At HomeFuels Direct we stock a wide range of technologies to monitor your oil contents. Our more basic systems offer a simple fuel level display whilst our more intelligent systems can measure your oil consumption on a daily basis. We’ve created this blog to help you understand the differences and to help you decide which monitor is best for you! This oil tank gauge is easy to install and easy to use. The transmitter is easily fitted to the oil tank and can be used on single skinned tanks that are 3m tall or less. This transmitter measures the level of fuel inside the tank and transmits that information to the receiver unit wirelessly. The receiver unit can be plugged in up to 200 metres from the tank and displays your fuel level on an easy to read LCD screen. Once your oil level falls below 10% a visual alert is shown on screen, if the level falls below 5% a flashing LED alert is shown to warn you and remind you to order heating oil. The Watchman is the best value oil tank gauge in our range of monitors but does not have an alarm feature to alert owners if there is a sudden drop in oil level (often an indication of oil theft). However the Watchman Oil Tank Alarm does have this feature, emitting an audible alarm if any potential thefts or issues occur. 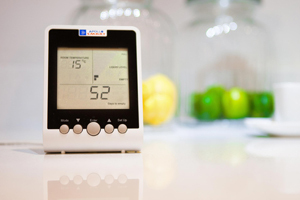 The Apollo Smart Oil Monitor is the most advanced monitor that we offer. 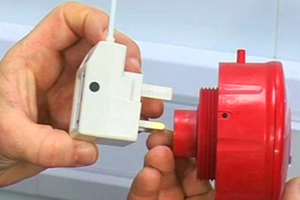 The monitor is easy to install and calibrate and doesn’t require specialist tools or skills to fit. The system can monitor your fuel consumption daily, weekly and monthly and even offers a USB plug so that you can download your usage data and analyse it further on your computer. Unlike other systems the Apollo Smart Oil monitor provides estimated fuel volume in litres rather than an approximate display of how full the tank is. Combining both the estimated volume and the average consumption also means the system has a unique “Days to Empty” feature meaning you’re less likely to run out of oil. Are oil tank monitors worth the money? Some people choose to manually check their oil levels by hand, depending on the regularity of your fuel use this method can be fine. However with the our weather being so erratic our fuel usage can vary hugely from month to month meaning your usage can be hard to predict. This is when gauges and alarms become very useful! If your oil tank runs dry it can cause issues with your entire heating system, meaning costly repairs plus the need to find other means to heat your home until your next delivery comes. Given the potential cost and inconvenience caused by an empty tank many people choose to invest in gauges to lower the risk of running out of oil. 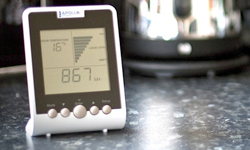 The Apollo Smart Oil Monitor not only makes it less likely that you’ll run out of oil but can also help you save money too. 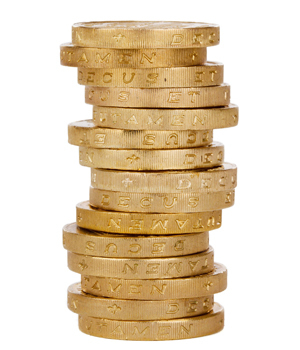 Thanks to the in depth data the system offers many people find that they can alter their heating habits and save a huge amount of money once they’re aware of their usage. Whether the savings outweigh the cost of the monitor depends on individual consumption however the Smart Oil Monitor can certainly make life easier when it comes to checking your use.